Usain Bolt has been stripped of one of his nine Olympic gold medals following confirmation that his 4x100m relay team-mate Nesta Carter took a banned substance at the Beijing Olympics. 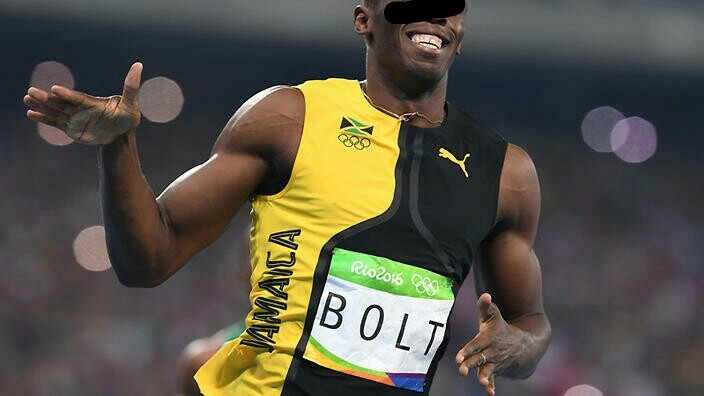 It means the legendary Jamaican sprinter can no longer claim to have done the “triple-treble” – gold in the 100m, 200m and 4x100m relay in the Games in 2008, 2012 and 2016. The International Olympic Committee announced the decision on Wednesday after a hearing in November to discuss Carter’s results following retests of 454 frozen blood and urine samples from the 2008 Games. Bolt has not yet commented on the news but when traces of the banned stimulant methylhexanamine were found in Carter’s “A” sample in June last year he admitted he feared the worst. Carter, the sixth fastest 100m runner of all time, helped Jamaica set a then-world-record time of 37.10sec in Beijing, as Bolt won the first of the 100m, 200m and 4x100m treble. But under the rules of the IAAF, athletics’ governing body, all four members of Jamaica’s 4x100m squad in 2008, which was made up of Bolt, Carter, Asafa Powell and Michael Frater, will now lose their medals. Carter told the IOC he took two supplements in Beijing that were advised by his coach, and he had no idea how the banned substance did not show up in his original test. He is currently in discussions with his legal team about whether to appeal to the court of arbitration for sport. He has 21 days to do so. The 31-year-old has been a vital member of Jamaica’s 4x100m relay team for nearly a decade, running the first leg as they won gold medals at the 2008 and 2012 Games and the 2011, 2013 and 2015 world championships, but missed the 2016 Rio Olympics. The decision means that Trinidad and Tobago’s team of Richard Thompson, Emmanuel Callender, Keston Bledman and Marc Burns are promoted to the gold, with Japan taking silver and Brazil bronze. The Russian Tatiana Lebedeva, who competed in the women’s triple jump event and the women’s long jump event in which she ranked second has also been disqualified from the 2008 Games. Re-analysis of Lebedeva’s samples from Beijing 2008 resulted in a positive test for the prohibited substance dehydrochlormethyltestosterone. The 40-year-old has already announced plans to appeal. According to the Tass news agency, she has also been suspended from her position on the IAAF’s women’s committee.